Advance your epigenetics research with NGS methods. The purpose of this workshop is to get a deeper understanding of the use of bisulfite-treated DNA in order to analyze the epigenetic layer of DNA methylation. Advantages and disadvantages of the so-called 'bisulfite sequencing' and its implications on data analyses will be covered. The participants will be trained to understand bisulfite-treated NGS data, to detect potential problems/errors and finally to implement their own pipelines. 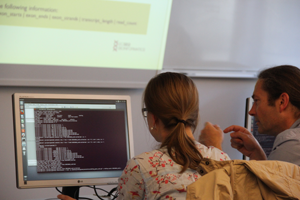 After this course they will be able to analyze DNA methylation and create ready-to-publish graphics. Check our new course layout. 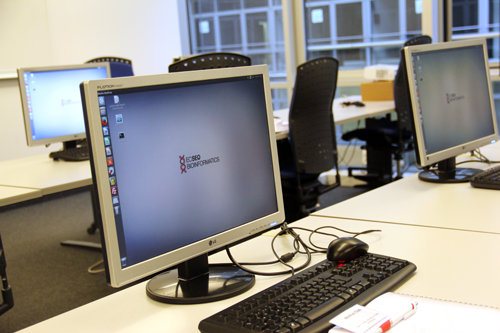 Our trainers have a proven record of academic and/or industrial experience in NGS data analysis. Because up-to-date expert knowledge is needed to answer your questions and know what is important in the field. We only use open source tools that are free to use. We try to showcase and compare different tools (e.g. NGS mappers), since not every software fits with every task/question. For a optimal learning experience we carefully prepare our learning materials and example data. All materials, tools and results created during the course are for take home with you. Different methods of NGS will be explained and compared, together with the consequences for data analysis. The most important notations and an overview over various applications will be given. Important first NGS analyses tasks will be explained and performed. This module covers essential knowledge for analysing data of bisulfite treated DNA-Seq data. 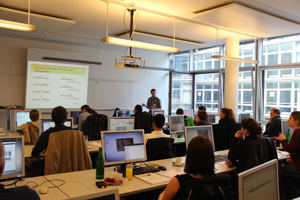 "Very good week of course, very useful for future work on DNA methylation sequencing analysis. " Jonathan Landry, EMBL, December 2016. 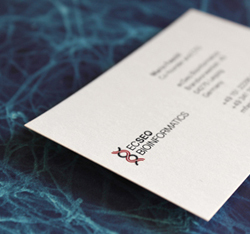 "ecSeq team pays a great attention to equip you to be on your own once back alone in your lab. They are recognised experts of the field and share not only their expertise but also their experience and views. Very valuable." Marc Lamarine, Quartz Bio, December 2017. "To go from an introduction to methylation to the complete analysis of a published dataset in 3 days is an ambitious target and I am delighted that is was so comprehensively achieved. The mix between theory and practical work is very balanced. I highly recommend this course for a strong foundation in the latest methylation analysis methods. The course leaders are experts and so helpful, and to take the operating system, data and commands home at the end of the conference is a huge benefit." Kieran Meade, Teagasc, December 2015. Please find all NGS course reviews here.